Are you unsure of what kind of services a locksmith provides? Have you heard rumors about locksmiths that cause you to hesitate when an issue arises? There are many myths surrounding the locksmith industry that simply aren’t true. At QuickPro Locksmith, we work hard to ensure our client’s safety and satisfaction. Our team of experienced professionals provide a wide range of commercial, residential and automotive services in Atlanta, Brookhaven, Chamblee, Stone Mountain, Smyrna, Norcross, Decatur, Tucker, Georgia and other surrounding metro area communities. Here are a few of the most common locksmith myths so you can distinguish fact from fiction the next time you’re in need of help with your locks or keys. While emergency lockout assistance is a frequent service performed by locksmiths, it certainly isn’t the only offering. Most professional locksmith companies like QuickPro also provide high security lock installations, lock repairs, key FOB programming, key duplications, door reinforcements, rekeying, keyless entry access system installations, smart lock installation, ignition repairs, emergency exit panic bar replacement and so much more. Anyone can purchase a website domain, create a Facebook page and slap a magnetic sign on the side of their truck. Just because someone calls themselves a professional doesn’t make it so. Even legitimate locksmiths have different levels of ability and experience, and have varying quality of tools and equipment. Not every state requires licensing or professional training to become a locksmith, so it’s important that you do your research ahead of time before hiring someone for the job. A lot of drivers think that anytime they have a car problem, the solution can only be found at a local dealership or auto mechanic’s shop. This may be true for engine damage or tire rotations, but not when it comes to your car keys, alarm system or ignition. If you’ve lost your car keys, need a key FOB replacement or are having problems with your ignition, then the locksmiths at QuickPro have the tools and equipment needed to get you back on the road fast. There’s no need to pay a tow truck to haul your car to the dealership. You don’t have to pay the outrageous prices or wait around for hours or days to get your keys, locks or ignition working again. There are many locksmith companies that refuse to take service calls after normal business hours. Unfortunately, a lot of lock and key related emergencies occur early in the morning, at night and over the weekend. However, at QuickPro Locksmith, we always put our customer’s needs first. 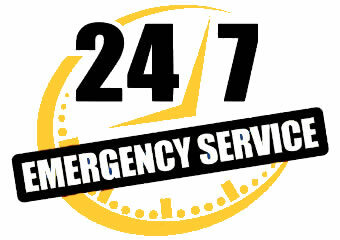 We offer our services 24 hours a day, 7 days a week, so you can get the help you need no matter what time it is. Is it time for your next locksmith service in Atlanta, Georgia or a surrounding city? Then call the experts at QuickPro Locksmith and get back on schedule quickly. Contact our office for more information or to schedule your next appointment.